SASKATOON – University of Saskatchewan football head coach Scott Flory announced his defensive coaching staff for the 2017 season Wednesday highlighted by coordinator and former teammate Warren Muzika. A graduate of the College of Education, Muzika played for the Huskies from 1994-98 before spending five seasons in the CFL with the Hamilton Tiger-Cats and Winnipeg Blue Bombers, winning the 1999 Grey Cup with the Tiger-Cats. He won the Vanier Cup with the Huskies in both 1996 and 1998. 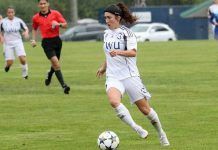 As a Huskie, Muzika was named an All-Canadian three times and was a conference all-star four times. Leading the Canada West in tackles in both 1997 and 1998, Muzika was named the conference’s defensive player of the year in both seasons and won the national award in 1998. He also won the Bruce Coulter Award as the Most Outstanding Defensive Player in the 1996 Vanier Cup. Muzika also played junior football with the Saskatoon Hilltops winning the Canadian Bowl in 1991 and was named the CJFL Defensive Player of the Year in 1993. Rounding out the defensive coaching staff is Paul Woldu (defensive backs), Cody Halseth (defensive backs), Tye Mountney (linebackers) and Tony Michalchuk (defensive line). Huskies’ 2017 Spring Camp kicks off Thursday with the 17th annual Dogs’ Breakfast featuring guest speaker Henry Burris. Two-time Vanier Cup champion and 1998 President’s Trophy winner Warren Muzika returns to the Huskies as defensive coordinator. A graduate of the College of Education, he played for the Huskies from 1994-98 before spending five seasons in the CFL with the Hamilton Tiger-Cats and Winnipeg Blue Bombers, winning the 1999 Grey Cup with the Tiger-Cats. Three-time Grey Cup champion, Paul Woldu returns home to the Huskies as defensive backs coach. Woldu, who played with the Huskies for two seasons in 2006 and 2007, was drafted by the Montreal Alouettes in the fifth round of the 2008 draft. He sent four seasons in Montreal, before joining the Saskatchewan Roughriders. He won Grey Cups in 2009 and 2010 with the Alouettes, and in 2013 with Saskatchewan. As a Huskie, the cornerback helped the green and white to 2006 Hardy Cup and Mitchell Bowl wins, and was named an All-Canadian in 2007. Cody Halseth joined the University of Saskatchewan football coaching staff in 2011 as a defensive assistant. He works with the defensive backs. Halseth is the High Performance Director for Football Saskatchewan and has been a coach with the U18 Team Saskatchewan since 2014. 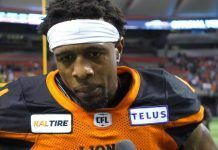 He played two seasons at cornerback for the Huskies in 2009 and 2010 after playing with the Saskatoon Hilltops. Halseth is from Outlook, Sask., and is married to former University of Saskatchewan basketball player and Saskatoon Valkyries, Marci Halseth (Kiselyk). Former CJFL champion with the Saskatoon Hilltops Tye Mountney will work with the linebackers. Mountney won the Canadian Bowl with the Hilltops in 1996. He was named the game’s most outstanding defensive player. He was also a member of the Huskies in 1994. Mountney is a graduate of the College of Education and has coached high school football in Saskatoon. Tony Michalchuk played with the Huskies from 2005 to 2011 at linebackers. A graduate of the College of Education, Michalchuk has coached with Team Saskatchewan at Football Canada Cup, as well as with high school teams within Saskatoon.